Place your telephone order before 3:00pm to receive nationwide free next day delivery. Tailored fit tweed suits in Light Blue, Brown, Grey, Bottle Green or Navy Blue by Torre. Additional to our stock service sizes, any sizes can be made to order outside of these from boys through to mens 60" chest. Extra short through to extra long can also be specified. Boys sizes through to 54" chest are available from stock to hire in this range, click link bellow for more information. Non-stock service purchase sizes usually take 6-8 weeks to make. Tailored fit Royal Blue Herringbone Tweed Suit by Torre. Any size can be made. In stock from mens 34" to 54" chest. Additional to our stock service sizes, any sizes can be made to order outside of these from boys through to mens 60" chest. Extra short through to extra long can also be specified. Luxury Royal Blue Mohair available as a Slim / Tailored Fit Suit or as a Tailcoat Suit. ​Extra Long Fit and up to mens 60" chest. Non-stock service sizes usually take 6-8 weeks to make. Luxury Navy Blue Mohair available as a Slim / Tailored Fit Suit or as a Tailcoat Suit. 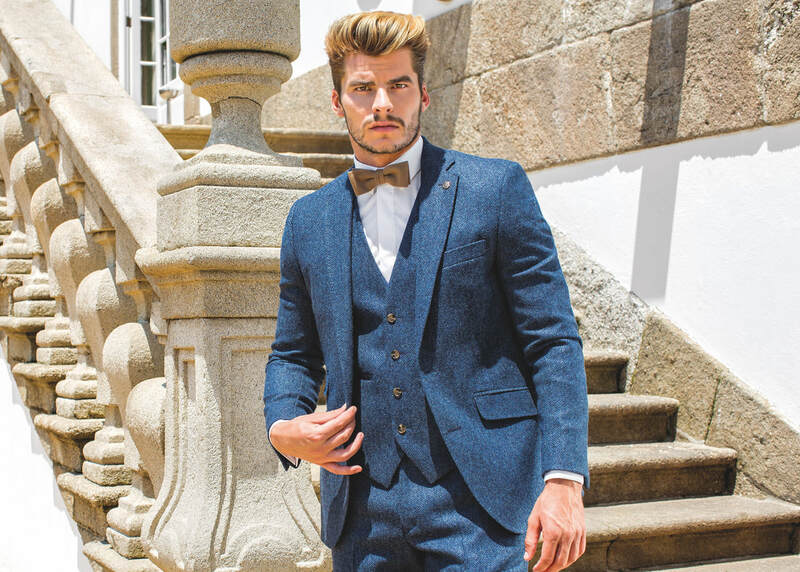 Luxury Blue Mohair available as a Slim / Tailored Fit Suit or as a Tailcoat Suit. Luxury Platinum Grey Mohair available as a Slim / Tailored Fit Suit or as a Tailcoat Suit. Luxury Charcoal Grey Mohair available as a Slim / Tailored Fit Suit or as a Tailcoat Suit. Luxury Ivory Mohair available as a slim / tailored fit suit. Tailored fit Blue Prince of Wales Check Suit. Tailored fit Windsor Check Suit. 36" to 46" regular sizes in stock, any size available as a special order, 6-8 weeks delivery.